The Primal Blueprint Cookbook has everything you need to get started with a primal-style diet, or get more creative with your primal meals. 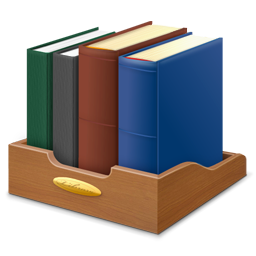 These recipes are free from refined sugars, grains, and vegetable oils, and honor the ancestral foods of meat, fish, fowl, eggs, vegetables, fruits, nuts and seeds, and healthy modern foods such as high fat dairy and dark chocolate. 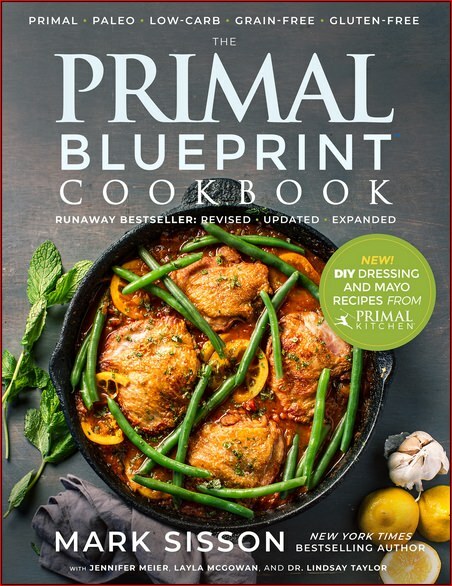 You learn about the basics of primal cooking and living, source the best ingredients and kitchen items, and then be off and running with creative recipes in the following categories: Meat, Offal, Fowl, Seafood, Vegetables, Eggs, Primal Substitutes, Marinades, Sauces and Dressings, Desserts, Beverages, Primal Kitchen mayo and dressings, and Keto Recipes. Even if you’re an enthusiastic meat eater, you’ll break through to the next level with the creative preparations of Offal (animal organ meats.) If you think dessert is only about sugar, you’ll be amazed at the array of primal-approved savory treats you can prepare. With the Substitute Recipe section, you can still enjoy your breads, crackers, muffins, pancakes, and rice, and will perhaps even agree that primal-style tastes even better. This offering from Mark Sisson, New York Times bestselling author, publisher of the number one primal/paleo blog MarksDailyApple.com, and Jennifer Meier, with 2018 updates by Tracy Dunigan, and Dr. Lindsay Taylor and Layla McGowan (Mark’s co-authors on the bestselling Keto Reset Instant Pot Cookbook), contains over 100 recipes and hundreds of vibrant photos (all from McGowan) to help you dial in these fun and easy to understand recipes. Join the wildly popular primal/paleo movement, as millions are transforming their lives by ditching nutrient-deficient processed modern foods and eating the nutrient-dense foods that have nourished humans for 2.5 million years of evolution. As you ditch refined sugars, grains and vegetable oils and start emphasizing primal foods, you’ll transition away from the disastrous state of carbohydrate dependency and chronically excessive insulin production that is agreed to be the number one public health problem in the developed world. Instead, you’ll become what Sisson calls a “fat burning beast.” This means you are able to burn fat as your primary fuel source instead of relying on regular high carbohydrate snacks and meals. You’ll enjoy stable energy, appetite, mood, and cognition all day long, and efficiently reduce excess body fat without struggling or suffering in the manner of a typical calorie-restrictive diet. By teaching your body to prefer fat for fuel, you can efficiently reach and maintain your ideal body composition for the rest of your life. As you build momentum for Primal eating, you’ll find that you won’t even miss the bland, boring, low-fat foods that previously were the central focus of your diet. How can you argue with a menu that includes Roasted Leg of Lamb with Herbs and Garlic, Salmon Chowder with Coconut Milk, Tomatoes Stuffed with Ground Bison and Eggs, and Baked Chocolate Custard? The Primal Blueprint isn’t a crash course diet. These and the other Primal recipes provide the foundation for a lifetime of healthy eating, high energy and protection from common health problems that arise from eating SAD (Standard American Diet).